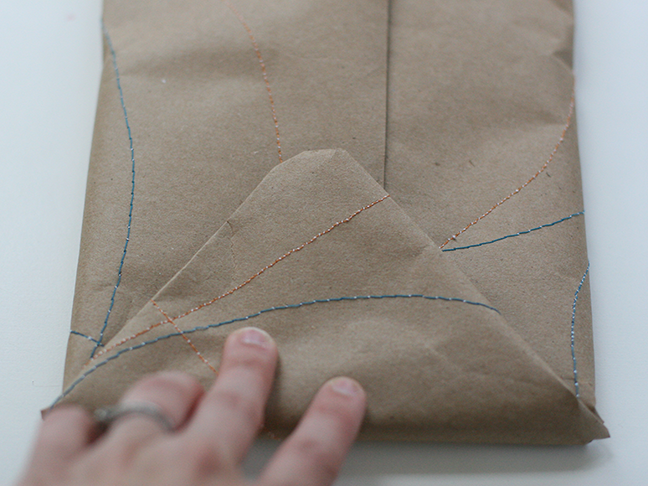 Even if you’re only a beginner at sewing, you can create this pretty handmade alternative to brown wrapping paper. 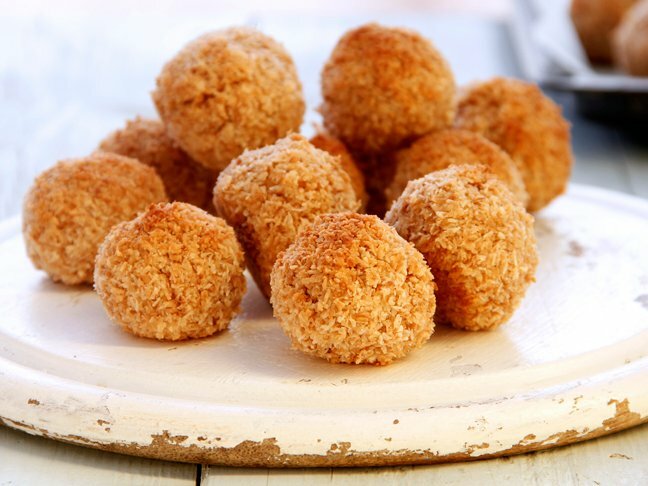 Make gift-giving really special with this simple DIY. Show the recipient you really care with a personal touch. 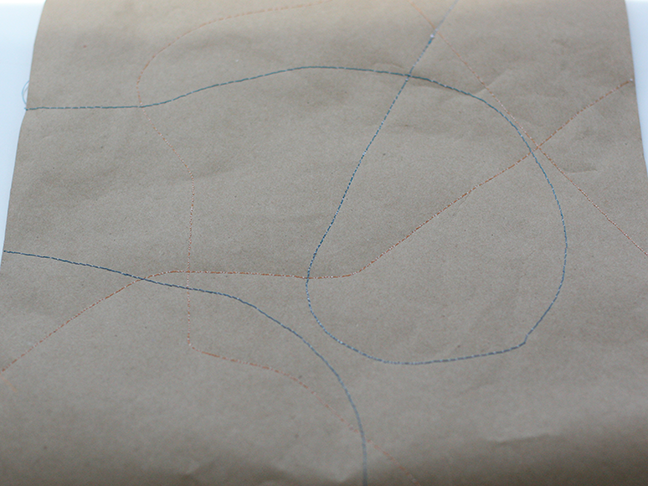 Step 1: Cut your wrapping paper to the desired size. 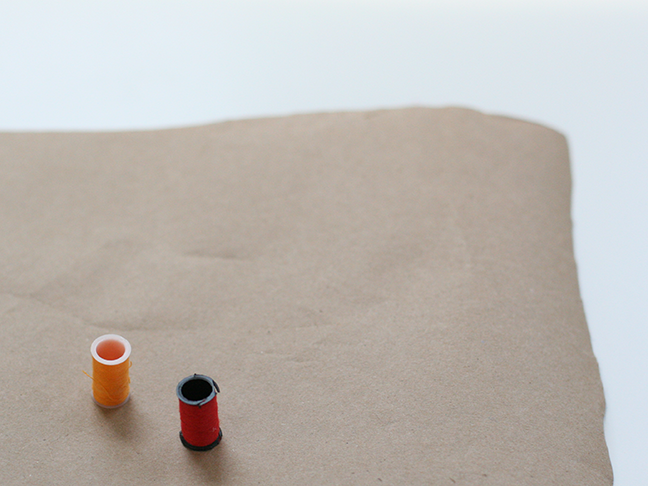 Select your thread colors. 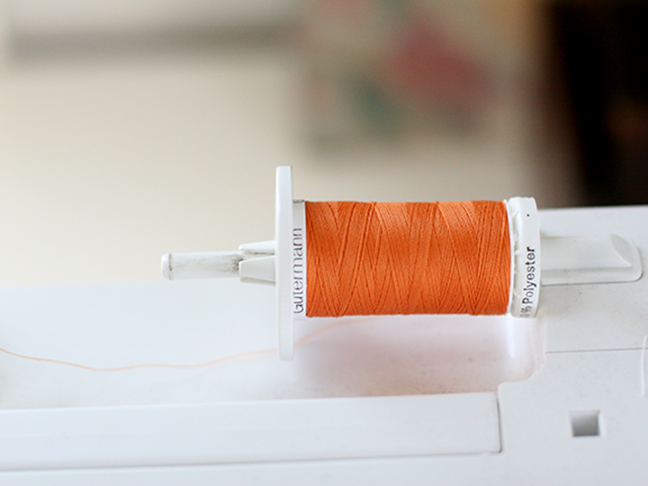 Step 2: Thread your sewing machine. I used white for the bobin to create more texture. 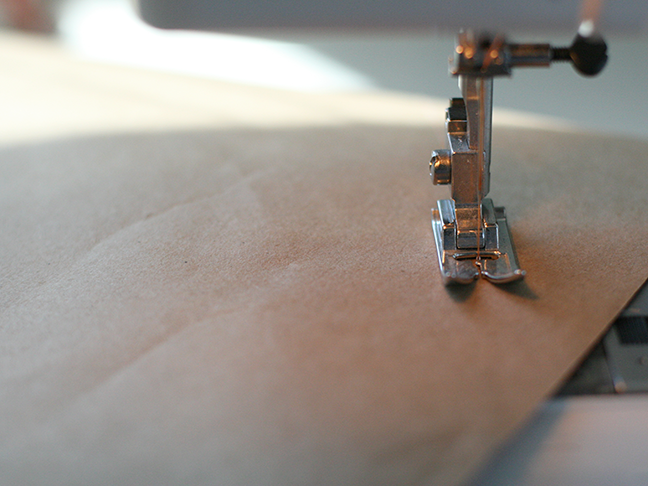 Step 3: Put your paper under your sewing foot and start sewing in any design you like! Try swirving lines, straight lines, swirls, and curls. No rules! Step 4: Repeat this process with another color or two. Step 5: Use your wrappinng paper to wrap your presents! 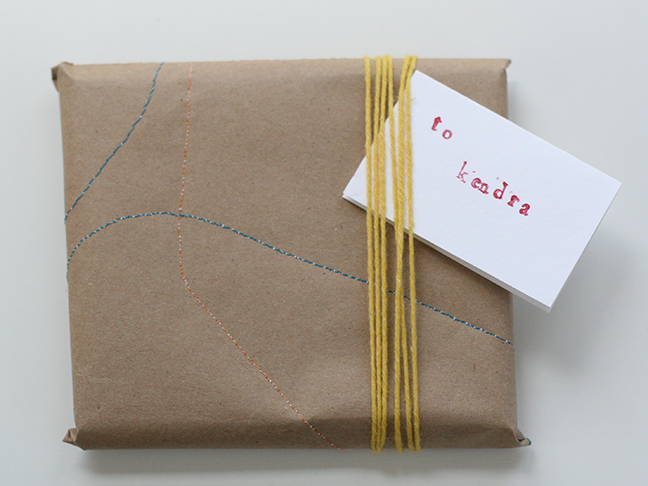 Want more creative gift wrap ideas?